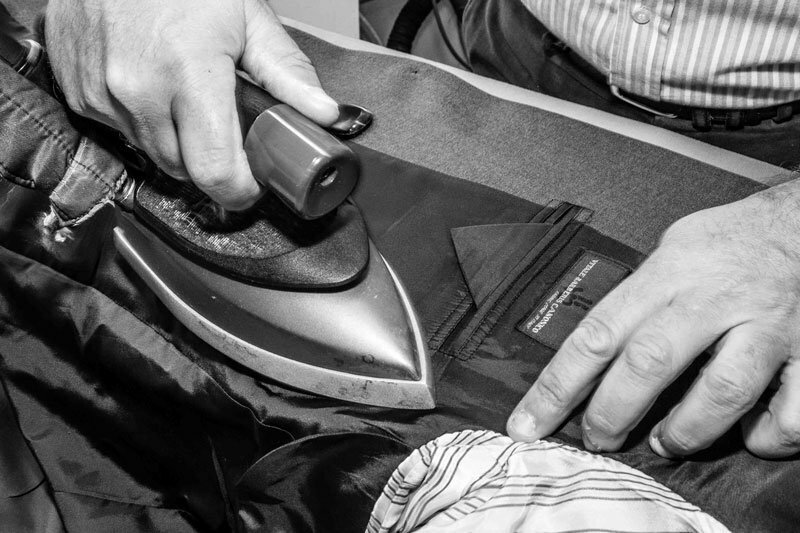 The difference between made-to-measure and bespoke tailoring? 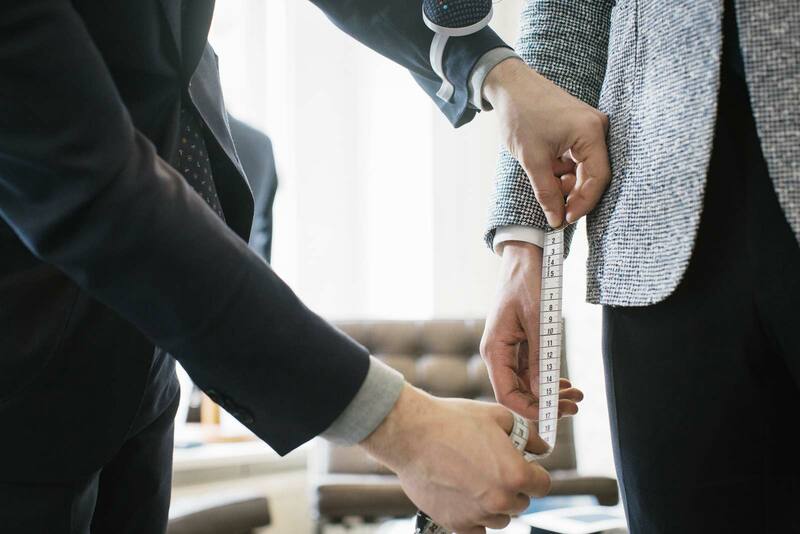 Where exactly lies the difference between made-to-measure clothing and traditional tailoring? With the classic tailoring, the tailor cuts the individual pattern for the suit or shirt based on his expertise and according to the clients’ body measurements. Often, the tailor uses tailor’s chalk to draw directly onto the fabric and then cuts it out by hand. This is a very traditional, but time-consuming process, which therefore is also expensive. One can call the made-to-measure manufacture a revolution of this profession. It makes a tailor-made suit, shirt, chino-trousers or jeans affordable without sacrificing any of the quality during production. Here, already existing dress patterns are used which are adapted to the customer. One must note though, that there are different types of made-to-measure clothing manufacture. At Monokel Berlin we work with sample. These are garments in the standard confection sizes, whereof the customer tries on the size most suitable to fit him. The jacket and trousers are then shortened or lengthened and pinned until they fit perfectly. Based on the changes made on this sample, we create an individual cutting pattern, which then can be used to cut the fabric using laser technique to minimize the loss of fabric. The big advantage of this way of production is that with the pinned sample, one can already relatively precisely predict how the finished product will look like. Hereby not only the body measurements are taken into consideration, but also the body posture, which has a big influence on how the suit fits in the end. Compared to the classic custom tailoring, where one only goes by the body measurements or only uses samples to measure the shoulders, by using our samples, one is not left in the state of uncertainty regarding the end product. The finished suit, shirt or Chino-trousers is therefore a lot less expensive compared to the classic tailor. Our aim at Monokel Berlin is to offer high-quality clothing at a reasonable price – therefore we are committed to made-to-measure manufacture.